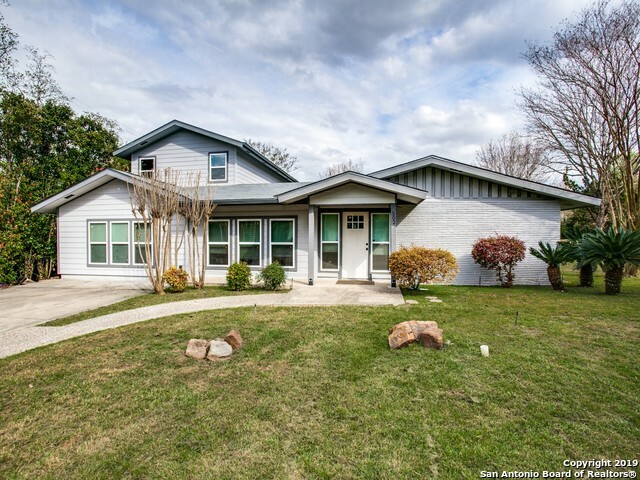 All BELL MEADE homes currently listed for sale in San Antonio as of 04/22/2019 are shown below. You can change the search criteria at any time by pressing the 'Change Search' button below. "This 4 bedroom 4 bath Bell Meade Mid Century Modern on over 1/2 acre is conveniently located to Ft Sam, Downtown, the Pearl and the Riverwalk. Original home has 2 large bedrooms, 2 baths on one floor and has been updated. The just completed addition includes an additional 2 bedrooms, 2 baths and full kitchen. The versatile floor plan has potential for rental income or multigenerational living...."